When I got the opportunity to contribute to Magic Style Shop, I was thrilled. After all, I’m just like you. Sure, our lives may look a little different, but at our core we’re the same: we love our families, work hard, contribute to our communities and have a hard time passing up a great deal! That’s why I wanted to make sure you knew the best ways to grab all your favorite Macy’s finds at the best price possible. For instance, did you know that you can actually start shopping this weekend’s Macy’s Super Saturday Sale today? That’s right, you can take advantage of the incredible prices of Macy’s Super Saturday Sale on Friday. And by doing so, you’ll also get the best selection available. And my favorite part of the Super Saturday Sale? The deeper discounts on top of the discount code Macy’s offers. 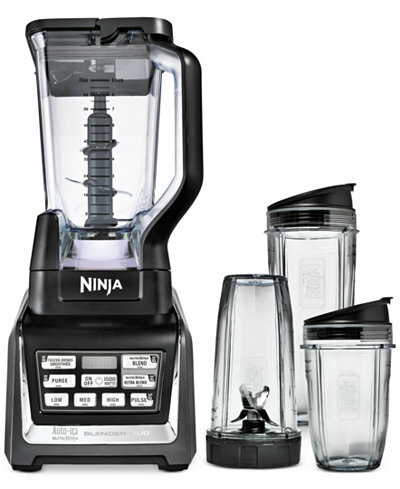 The Nutri Ninja Duo BL642 Auto iQ Blender is regularly $289.99, but is on sale right now for $199.99. But wait, it’s get better! You can save an additional 10% off the sale price when you use the code SUPER. Can you say holiday wish list? But with prices like these, you don’t have to wish anymore! So there you have it…and now you can go grab it! Just don’t forget to use code SUPER when you checkout.